Very well done! Beautiful!! Bravo! Wonderful! Full of drama and energy! Thanks a lot, ReginaAveiro, I am happy you feel that as well! 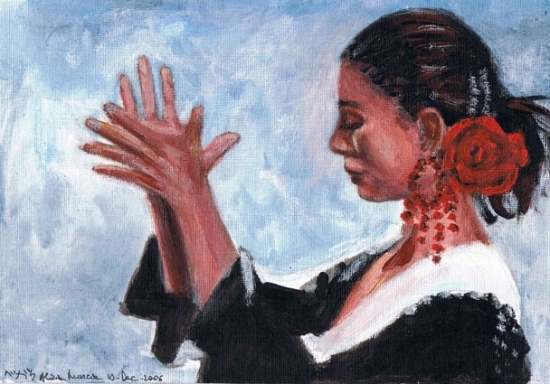 my last portrait was of Mercedes Ruiz, i so badly needed a name for a great Flamenco Dancer... i should have waited for your submitted Portrait... Wish i knew... Its VERY BEAUTIFUL! Great Work! Thanks!! i really like your dancing pictures as well very expressive! muchas gracias Alicia! Much appreciated!